The WattsUp HomeCycling program is available online for the remote user. Not everyone wants to or is able to attend WattsUp studio for theirworkouts. Their online program is called WattsUp HomeCycling, and is an affordable, personalized, very effective training option for the at-home rider. HomeCycling is $50 per month. One caveat is that the rider requires a power-measuring device, be it an on-the-bike power meter or better yet a stationary bike trainer that measures power. BikeWatts has partnered with WattsUp Cycling to enable HomeCycling athletes to rent CompuTrainers for home use. CompuTrainers are the trainers that are used on-site at WattsUp studio, and are the most robust, reliable power-based trainers on the market. Retailing at $1800 USD makes purchase of a CompuTrainer challenging for most. Interested? Email info@wattsupcycling.ca. Limited number of CompuTrainers available. First come, first served. For more detail see In-Home Cycling Training Package. Like many other triathletes, Lynn Tougas is dedicated to her sport. Back in early spring, Lynn won a BikeWatts Computrainer rental from an event hosted by Toronto Triathlon Club. Since then, she’s become stronger on the bike and enjoyed the convenience the Computrainer provides. So far she’s had a great race season, placing highly in her age group. We like to think BikeWatts has played a part in achieving her successes. We are happy to welcome Lynn to our blog to discuss her training and how she uses the Computrainer. …On Triathlons I have been doing triathlons for just about 20 years now. I got started through a friend who was taking a Learn To Race (Road Cycling) Course I was assisting with. Cindy was taking the course to improve her cycling skills for triathlon. She thought I would be well suited for the sport. I completed one corporate event with a friend at the Milton site in 1995 and then I completed the Kingston Sprint event back in 1995 with Cindy. I have never looked back! I am not sure I have a favourite distance as of yet. Just a favourite course type, and that is a challenging hilly bike course. Of late, I am enjoying one or two 70.3 distance events per year, mixed in with several other sprint and olympic distance events. …On Using the Computrainer I love watching my efficiency “donut”. Being born with hip displasia and later developing a bit of scoliosis, it is imperative for me to have a proper bike fit and efficient output so that I don’t get back pain and gait issues running off the bike. I also love having the watts output visible along with the ability to set up a “race” with other riders at various speeds/wattages with whom I have to keep up. So far, I have used the trainer to ride the Milton Course a few times before the event I completed this year. I was well prepared and knew every bump and turn. I aced the course, being the first woman off the bike out of 133. I have a couple of more races coming up, and I have been able to ride each of these just once. As I continue to train over the summer I will have more opportunity to ride them again at least one or two more times. One of these is the Gravenhurst Olympic and the other is my big goal race, the Dublin 70.3. Both are quite erratic in terms of rolling hills intertwined with longer jams. Courses like this have been where I have encountered difficulties in the past. With a little extra indoor complimentary training and getting to know the subtle intricacies of each of these challenging routes, I will for sure fly out there on the real courses on race day! …On Training Indoors, Even in the Summer Obviously one major advantage is the safety. I am not pressured to ride outdoors in rush hours or at night, nor am I contained to a small circuit doing laps. I am on a real course in the comfort of my own home. I can concentrate on the drills which my coach has laid out for me that session without interruption. Computrainer is a REALLY effective tool in this way. Thanks, Lynn, for sharing your training experiences and good luck on the rest of the season! Lynn is a Registered Kinesiologist, providing services as a Personal Trainer, Precision Nutrition Coach, NCCP Triathlon Coach, Yoga Teacher, Pilates Mat+Props (Bands, Balls, Ring and Roll) Instructor. You can reach her on Twitter (@LTKnS), on Facebook (Lynn Tougas Kinesiology and Sport), and LinkedIn (Lynn Tougas, Registered Kinesiologist). BikeWatts is happy to announce that we are now sponsors of TTC, Ontario’s largest triathlon club! Whether you are an experienced athlete or new to the sport, Toronto Triathlon Club has something for you. We feel the same way about what BikeWatts offers. Our customers vary in experience and ability and we are happy to speak with you about how our Computrainer and Hypoxico altitude/hypoxic rentals can help you meet your fitness and training goals. Together with TTC, BikeWatts hopes to better service the sport and its athletes! Congratulations to Diana who won a 4 month BikeWatts Computrainer Rental from the Toronto Triathlon Club. Her reasons for wanting a Computrainer are ones we hear a lot, but her winning letter says it so well! Below is her letter. Happy training, Diana! I’ve always had a love of running and swimming, but these were mostly recreational. The extent of my cycling was in my neighbourhood as an alternate mode of transportation during the summer months. My tri journey started last year when I decided to do the Orillia Subaru Try-A-Tri on a whim. I signed up a month before the race, and did whatever training I could at my local track, on my mountain bike, and in the community outdoor pool. On race day I felt as ready as I would ever be. I came out of the water 3 in my wave (it was exhilarating), only to lose any time I had gained on the bike course. I was using my trusty (heavy as a cow) hybrid bike, and could only concentrate on two things; the sound of people passing me: ‘on your left’, and the burn in my quads. I managed to make up some ground on the run and finished 28th in my wave out of 120. From the moment on, I was hooked. I knew I would need a road bike if I was going to have any chance of competing in a longer distance than a Try. In November I purchased a road bike, but haven’t yet used it, because I don’t own a trainer, and feel intimidated walking into a Watts Up training session as a complete newbie not even knowing how to properly use my bike. This however is my goal. I refuse to let the cycle be my demise, and I want to start the outdoor riding season (when will the threat of frostbite ever subside in this city) with some training sessions under my belt. This year my intention is to sign up for at least 4 triathlons ranging in distance from a try (1st of the season), to an Olympic distance. I’m certain that I could complete an Olympic distance right now if not for the bike, so receiving this generous gift would surley help me on my way. Thanks Toronto Tri club for providing the opportunity to train with like minded people! Thinking about renting a Racermate Computrainer but want to know what you’re getting? For $80/month, you can now train for your next big race in the comfort of your own home using the de facto standard Racermate Computrainer. You can use the handbar control to set the wattage on the load generator according to your workouts, or you can connect it to your Windows PC or Mac running the provided, Computrainer 3D, PerfPro Studio software. 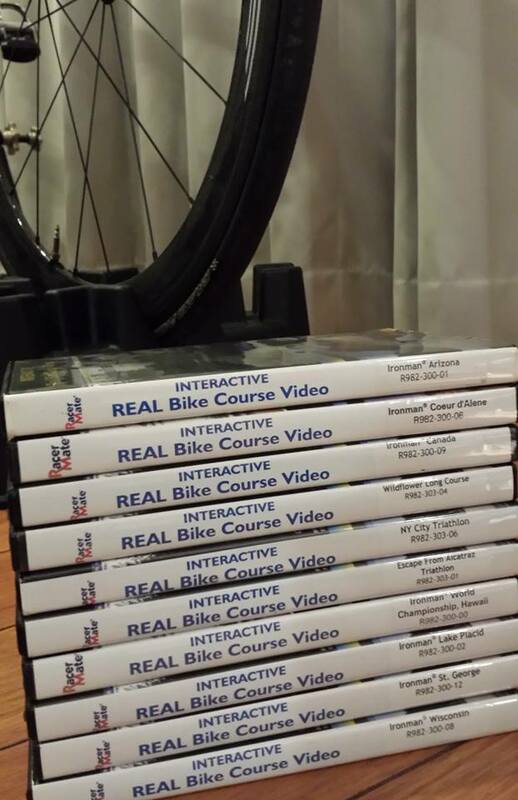 There are 250+ preloaded courses. 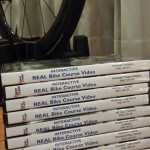 Rental also includes Interactive Real Bike Course Videos! This is a lot more affordable than going to a ride studio and pay $35/ride. Please contact us at trevor@bikewatts.com for more details. Terms and conditions: A $600 cash deposit is required when you pick up the trainer. The deposit will be used towards the monthly rental cost incurred.